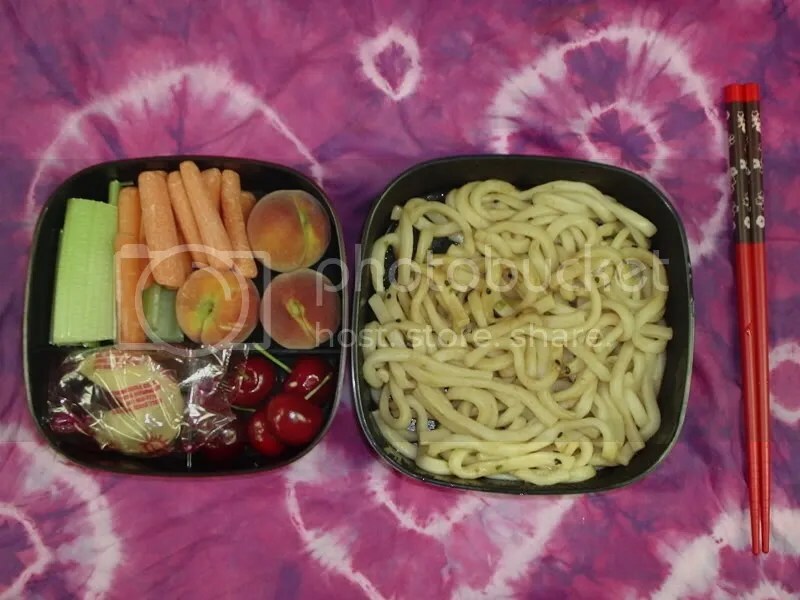 I started classes again, and I’m not sure how it’s going to go bento-wise. I have huge breaks in my class so I’m not sure whether I’ll be able to make a lot of bentos. 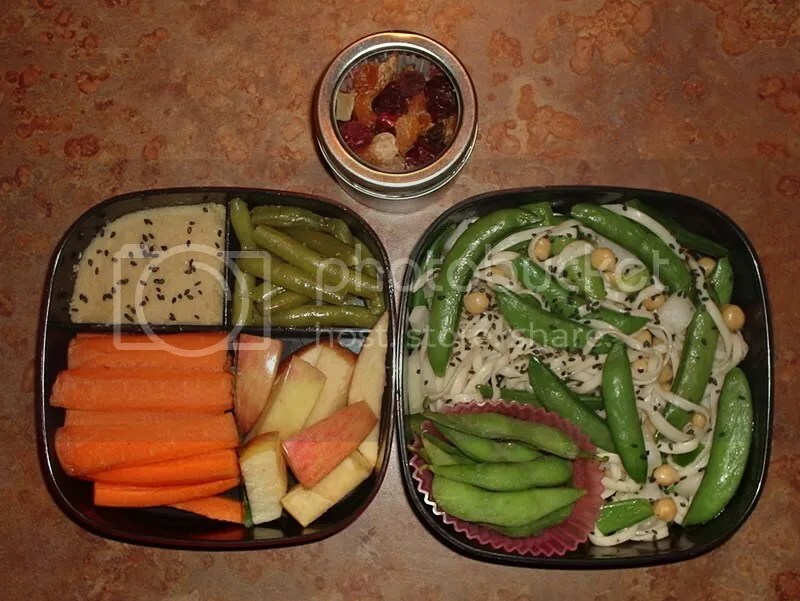 But tomorrow I’m going to go work out and I have to run some errands so I thought I’d make a bento for a quick lunch. 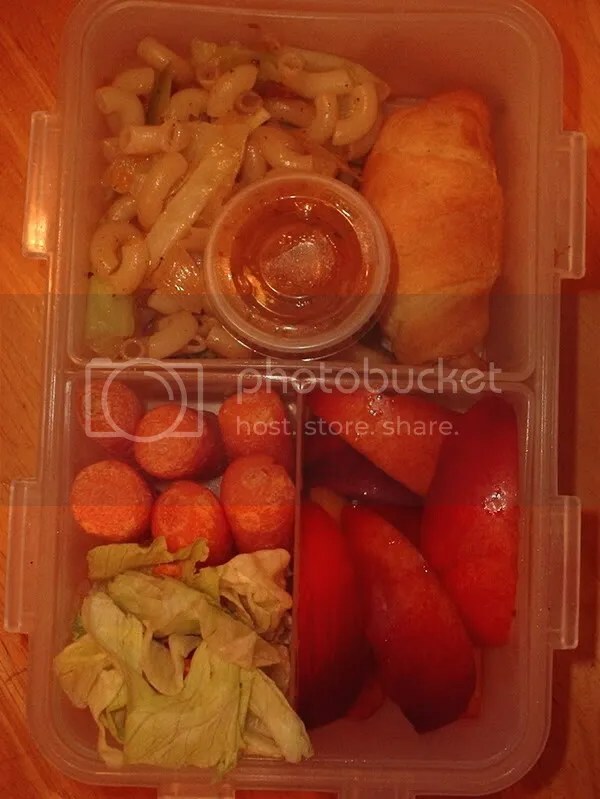 I made some Haluski for dinner so I added the leftovers of that, a croissant, some baby carrots, some salad and light italian dressing, and to finish it off some nectarine. I made lunch for my friend/coworker and I on Saturday. We normally have lunch provided but I think it would be nice to have a yummy bento instead. They’re a little different because my friend doesn’t like many foods. 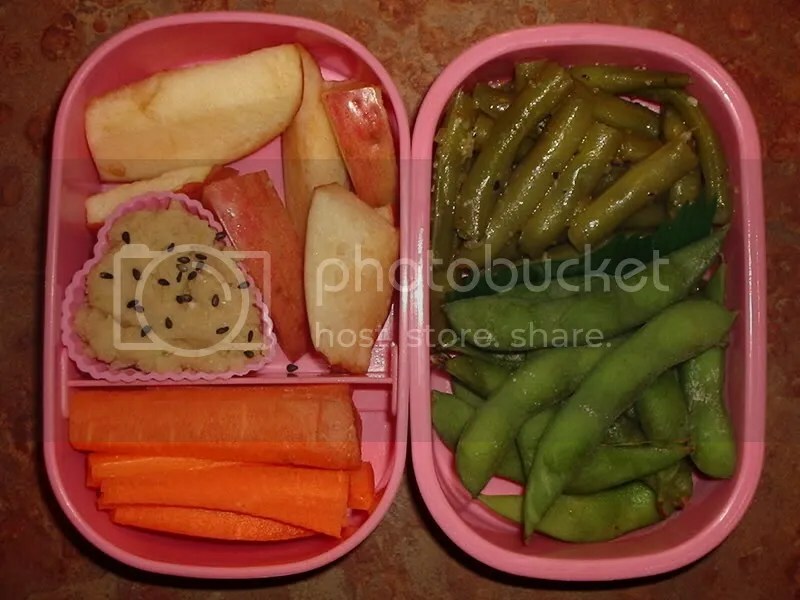 It has green beans, edamame, carrots, hummus w/ sesame seeds on top, and sliced apple. It has a little more because my friend was also going to eat a sandwich. It leftovers from the cool noodle salad I made, edamame, apple, carrots, hummus, and green beans. The little container on top has some dried fruit that we shared.